Open calls for 2019 Lìzé Puppet Art Colony Artist-in-Residence Program! Lìzé Puppet Art Colony in Yilan is a base for puppet arts founded by the 19-year-old world- renowned theater troupe, The Puppet & Its Double Theater. The colony site was originally a group of deserted rice barns. After four years of remodeling, the old barns are transformed into fully equipped rehearsal hall, woodshop, artist work space and performance studio. Since 2014, Lìzé Puppet Art Colony has invited international puppet masters to hold workshops and organize activities, to make the colony an important platform in Asia for the development of puppet arts around the world. Since 2016, Lìzé Puppet Art Colony organizes the artist-in-residence programs, which was planned to be the exchange platform for the puppet artists all over the world. 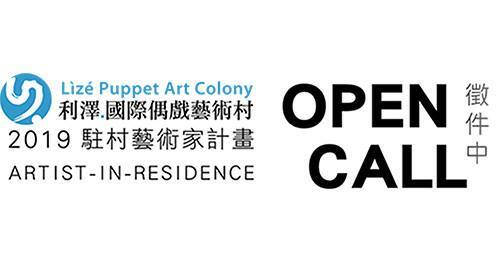 The theme of 2019 is偶藝不設限 (Express Freely with Puppetry) The event encourages artists to perform or display an installation at the selected spaces inside the colony or in the neighborhood. All artists that are knowledgeable, interested in and feel inspired by the theme are welcome. Application Period: available until 27th of January, 2019.